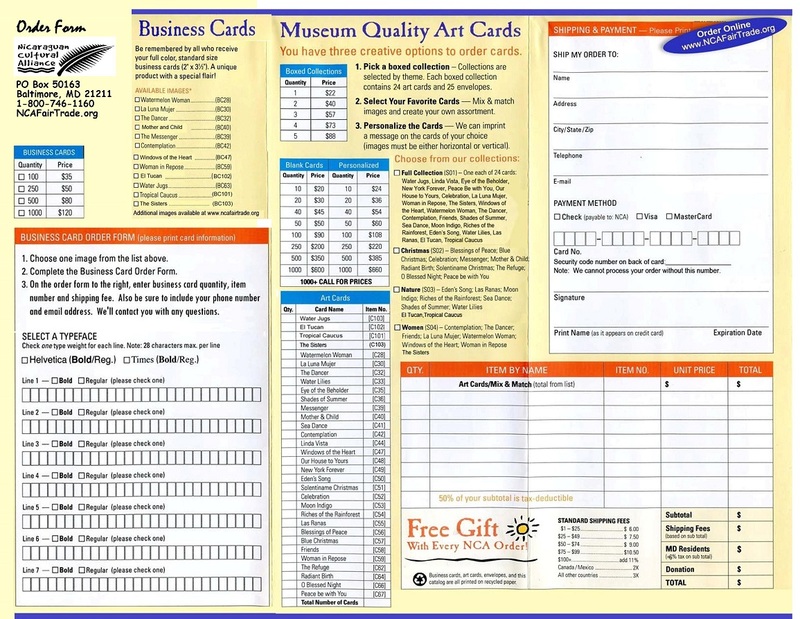 The Nicaraguan Cultural Alliance is a U.S.-based organization that works to support the arts and community development projects in Nicaragua. We believe that art and culture are a reflection of the heart and soul of a people and to support and encourage them enlivens and strengthens the lives of everyone. NCA strives to build bridges between the creators of art in Nicaragua and those in other places who appreciate and can help sustain this vital element of life. Nicaragua is a poor land rich in visual arts, dance, music and poetry. 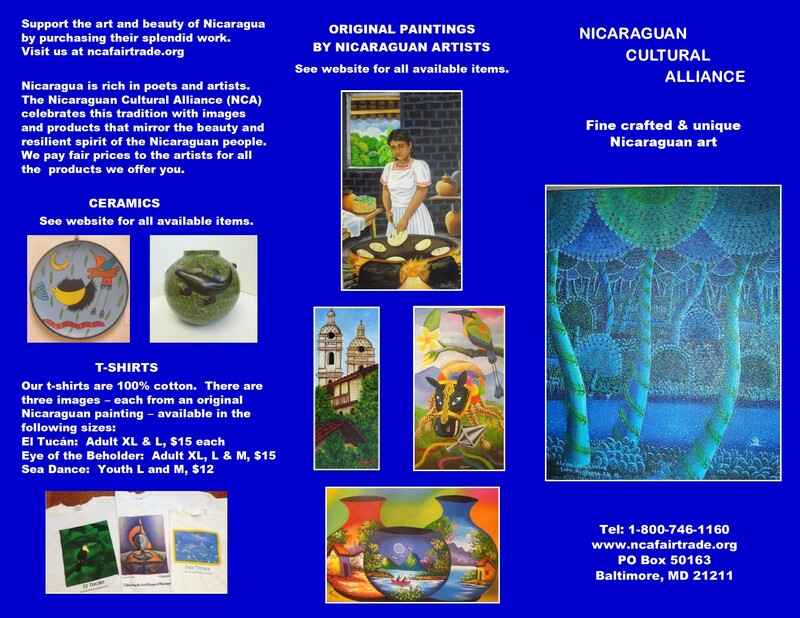 We provide venues for the sale of Nicaraguan arts and crafts, create opportunities for exhibitions for Nicaraguan artists, and work to support other cultural endeavors. 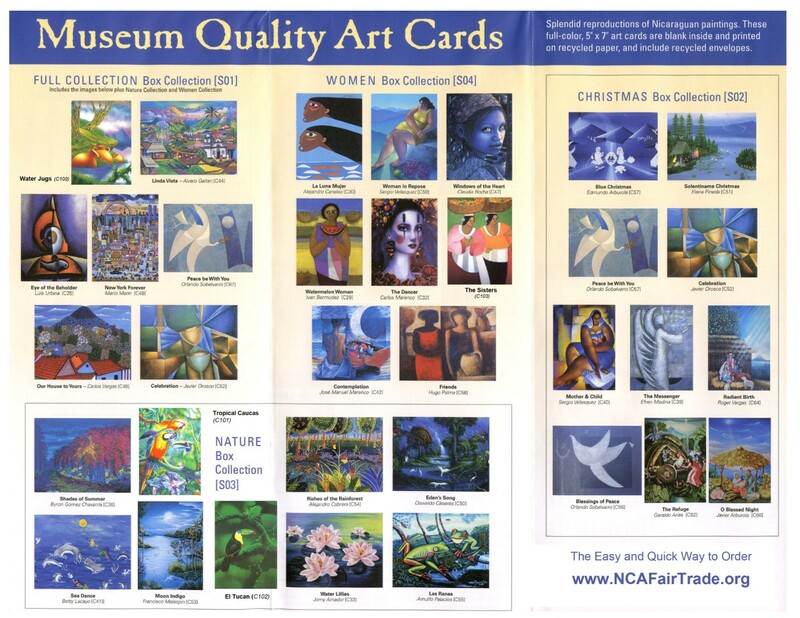 Proceeds from cultural events and the sale of art works support the Nicaraguan artists and artisans who created these original works, as well as community development projects in Nicaragua.